1. They perform their own dentistry. Wombat teeth are continuously growing, so the marsupials constantly gnaw on bark in order to keep their chompers at a manageable size. 2. They are fierce tunnelers. 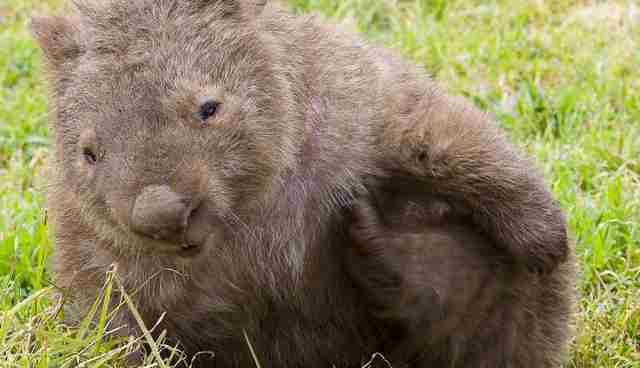 Wombats are just physically awesome at digging -- it's as simple as that. Their little barrel bodies, in conjunction with their long claws, enable them to create extensive cavernous burrows for themselves and their young. A typical wombat burrow has numerous entrances and separate sleeping quarters. 3. They have a biological predisposition to be good parents. 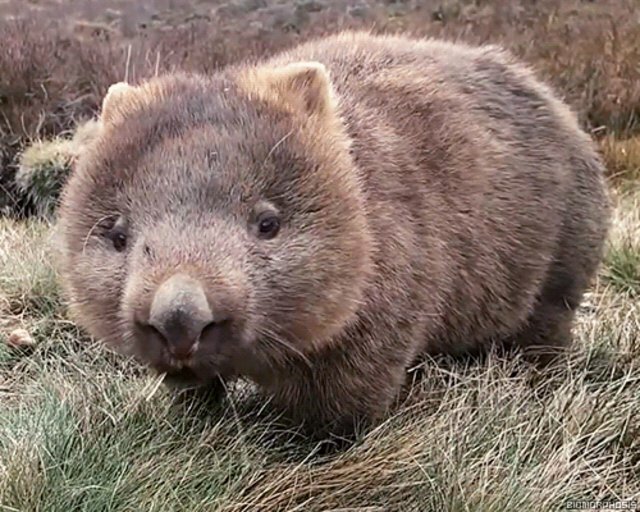 Though wombats carry their young in small stomach pouches through early development like all marsupials, their pouches are actually positioned backwards so that their babies won't get hit in the face with dirt during the wombats' extensive tunneling projects. 4. They may not start fights with predators -- but they know how to finish them. 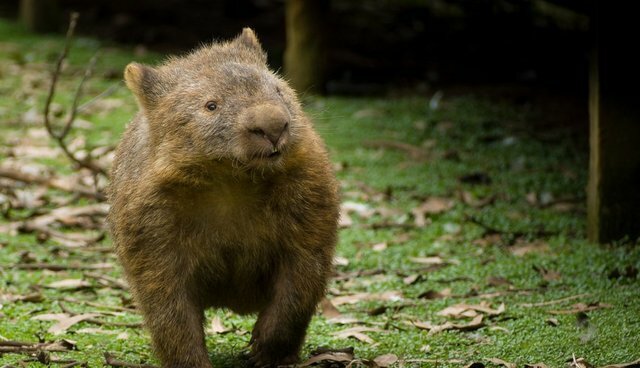 Wombats have a rump which is mostly cartilage and can withstand the bites of any predator attempting to follow them down their burrow hole. Their back legs are especially powerful, and wombats have been known to crush the skulls of any unwanted followers against the roof of their tunnel by kicking back their hind legs. 5. They have square feces. Okay, maybe having square dung seems more bizarre than cool, but there's a reason for it. 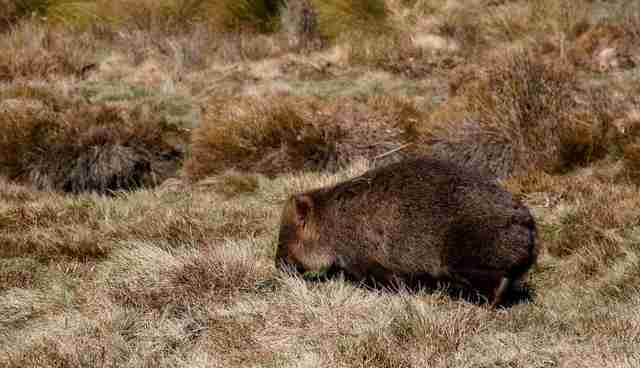 Wombats mark their territory by defecating -- and the square shape helps to ensure that the excrement doesn't roll away. Just... think of it as a homemade security system. This is an extremely obvious one, but is still deserving of mention nonetheless. 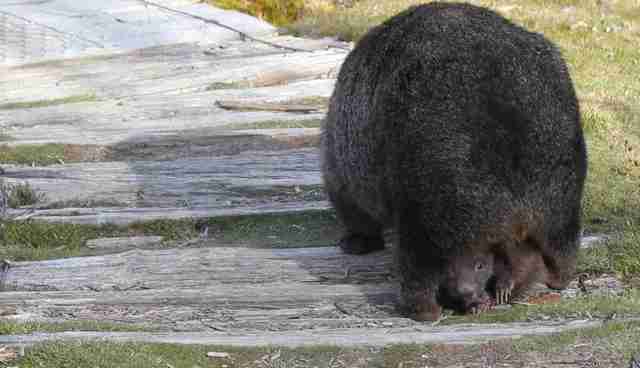 *Editor's note: even though wombat joeys are very cute, it is important to remember that these marsupials should NOT be kept as pets -- please leave them to tunnel happily in the wild, where they belong!